Wow! The SPX drops more than 10 handles in the last fifteen minutes! 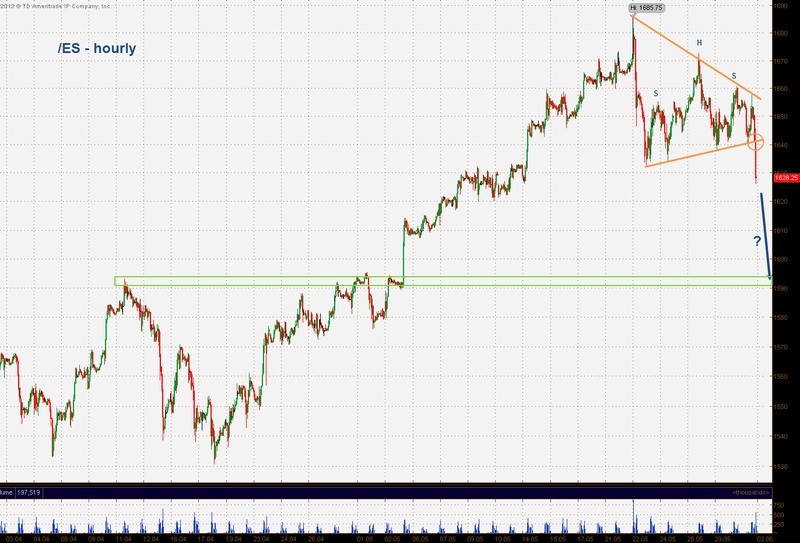 The futures broke the neckline of the H&S (and the triangle) and it looks like we're on the way to 1590-95.